I am a student pursuing a PhD in physics at Georgia Tech. I graduated from Vanderbilt University in 2016 with Highest Honors from the physics department. My degree is a BA in physics and mathematics. I have been tutoring in these subjects for almost 4 years, both privately and in university-run help desks. Throughout my physics career, I have found that sharing physics knowledge and techniques is among the most rewarding ways for me to spend my time as a scientist. From my own experience as a student and scientist, I know how rewarding it is to finally grasp a physics concept after wrestling with it for a while. I know how rewarding it can be to think through a long physics problem to completion, having employed various concepts and techniques to solve the puzzle. I love helping students achieve that for themselves. Throughout my undergraduate career at Vanderbilt, I tutored both privately and in university-run help desks. There were many students that I tutored in explicitly mathematical subjects such as calculus. Additionally, physics requires extensive mathematical knowledge, so there is overlap in the physics curriculum with many mathematical subjects. 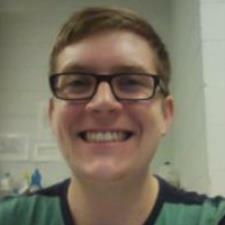 I have about 4 years of experience tutoring in physics at the high school and college level. My favorite aspect of a physics education is working through problems logically, using relatively few physical principles and equations. This process hones a certain manner of thinking that is useful in many areas of life other than physics. I love encouraging this systematic manner of thinking through problems. When I tutor, I emphasize the processes that will lead to success in all manner of problems.